Now let’s talk about different learning styles. Learning styles? Yep. The different ways people learn. For me personally I learn easier by seeing things visually. Read these descriptions of each learning style and decide how you learn best. Visual learners: those who learn best by watching or seeing. Visual learners like to be shown how to do things and often learn best through diagrams or by using imagery. If you are a visual learner,(like me!) if someone asks you how to spell a word, you probably have to write it down yourself first, rather than simply trying to spell the word in your head or out loud. Auditory learners: those who learn best by listening or speaking. 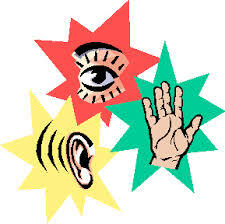 Auditory learners can learn easily through listening to lectures or by talking information over with a peer. If you are an auditory learner, you probably rarely miss a class lecture and you may participate in study groups for many of your courses. You may rehearse information by saying it over, either to yourself or out loud. Kinesthetic learners: those who learn best by touching or movement. Kinesthetic learners generally learn best through writing or even typing things out. If you are a Kinesthetic learner, you may rehearse information by writing it several times. You also may enjoy lab courses where there is a hands-on approach to learning. Are you a Kinesthetic learner?